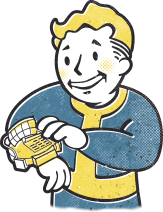 One of the most popular Fallout items is making a comeback! Return to Vault 112 and Dr. Stanislaus Braun's violent simulation! We looked back into the vault at the old design and upgraded the case, movement and added a leather band.